By area, it was the largest British military cantonment in South India.The origin of the word cantonment comes from the French word canton, meaning corner or district. The Bangalore Cantonment was a military cantonment of the British Raj based in the Indian city of Bangalore.The origin of the word cantonment comes from the French word canton, meaning corner or district. The heart of the Bangalore Cantonment was the Parade Ground.The Bangalore Cantonment had a strong European influence with public residence and life centred on the South Parade, now referred to as MG Road. The Cubbon Park was built in the Bangalore Cantonment in 1864. The names of many of the cantonment's streets were derived from military nomenclature such as Artillery Road, Brigade Road, Infantry Road and Cavalry Road. 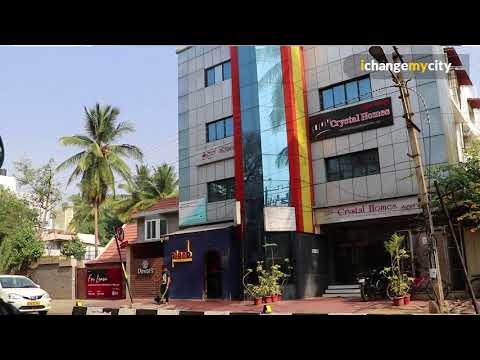 After Indian independence in 1947, corporation merged with the Bangalore pete municipal corporation to form the Bangalore City Corporation, now known as Bruhat Bengaluru Mahanagara Palike. The streets in the cantonment were important public spaces and were straight and wide and were designed for vehicular traffic, but of a different kind from today’s motorised traffic. 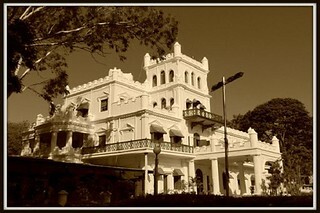 The cantonment attracted large numbers of Tamil speakers from the Madras Presidency whereas pete was predominantly Kannada speaking. 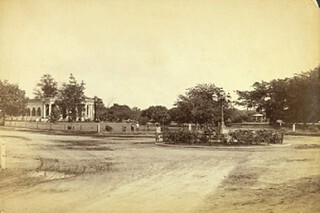 As the central street of the cantonment, M.G. Road started responding to these pressures and evolved into a fashionable main street or a colonial street mall.